Type : Division of Warner Bros.
Parent company : Warner Bros.
Warner Bros. Interactive Entertainment, Inc. is a division of Warner Bros. Home Entertainment Group. It is a worldwide publisher, developer, licensor and distributor of video games for both internal and third party titles. Under the WBIE umbrella is Warner Bros. Games (also the division's major publishing unit), which focuses on the creation, development and production of first-party titles. Because of the distribution, marketing and sales infrastructure of Warner Home Video, WBIE is a significant worldwide publisher for both internal and third-party game titles. In 1995, Warner Bros. Interactive licensed out their first game property under their current name, Batman Forever to Acclaim Entertainment. They continued to license games based on Cartoon Network, DC Comics, Hanna-Barbera, Looney Tunes and various Warner Bros. film properties over the years to such video game publishers as Ubisoft, EA, Infogrames and THQ. In 2003, they co-published their first video game, Looney Tunes: Back in Action. EA was the other publisher of the game. In 2004, Warner Bros. acquired developer Monolith Productions. In 2005, WB Games. label was created. The first game that Monolith developed in conjunction with Warner Bros. Entertainment was The Matrix Online which SEGA helped co-publish. In 2006, they bought a 10.3% stake in SCi Entertainment, the owner of Eidos Interactive. That same year, they released their first self published title (with no co-publishers), Justice League Heroes, it was distributed by Eidos on the Xbox. In 2007, their goal was for a five year plan to expand in the video game industry, which includes the acquisition of studios for internal development and the creation of a studio in the Seattle area that will run all the games published and developed by the company; starting with the acquisition of TT Games that same year for the amount of £100 million. In April 2008, they increased their stake to 35% gaining distribution right of all Eidos games in the United States, Canada and Mexico. On December 15, 2008, right after SCi changed their name to Eidos plc, Warner acquired a total of 10 million shares of the company, raising its owned amount to 19.92%, after an agreement which prevented Time Warner from acquiring more shares was scrapped one month earlier. On January 28, 2009, The Hollywood Reporter reported the deal also gave Warner the rights of the Tomb Raider film series, previously owned by Paramount Pictures. On February 12, 2009, SQEX Ltd, a wholly owned subsidiary of Square Enix, announced a takeover offer worth £84.3 million for Eidos plc, which was backed by Warner Bros. as shareholder. Square Enix eventually took over the company April 22, 2009 and later changed the name to Square Enix Europe. Warner Bros. announced on February 4, 2009 it had purchased independent developer Snowblind Studios. Terms of the deal were not disclosed, but the acquisition serves to strengthen the publisher's internal development effort. In 2009, Warner purchased most of the assets of American publisher Midway Games, operating under Chapter 11 bankruptcy protection, for $49 million dollars. The assets purchased include Midway's studio in Chicago and Surreal Software, resulting in the ownership to the rights to the Joust, Mortal Kombat, The Suffering, Spy Hunter and Wheelman series. Midway Games had previously worked with Warner Bros. on several games including Mortal Kombat vs. DC Universe. Midway intended to hold an auction of its assets on June 29, 2009, but no other bids were placed. On July 10, 2009, the sale to Warner was completed for approximately $49 million. In the process, WB Games became the owner of the Blitz: The League series. On July 28, 2009, Midway's Mortal Kombat team was rebranded WB Games Chicago by its new owners and, in 2010 was re-named NetherRealm Studios. On January 13, 2010, it was announced that Warner Bros. Interactive Entertainment will produce and have exclusive rights to Sesame Street video games starting in fall 2010 with Elmo's A-to-Zoo Adventure and Cookie's Counting Carnival. On February 23, 2010, Warner Bros. Home Entertainment Group announced it had acquired majority stake in Rocksteady Studios, an independent development studio based in London. Rocksteady and Warner had previously worked together in Batman: Arkham Asylum, and as been announced to work in the future with more Warner Bros. licenses. 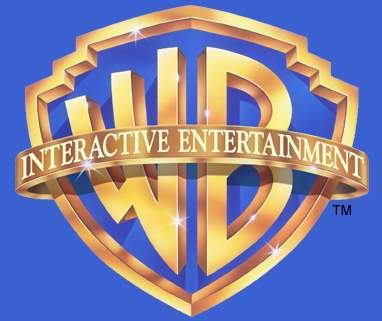 On March 22, 2010, Warner Bros. Interactive is the latest videogame company to open a studio in Quebec. Current president Martin Tremblay will lead the new Montreal studio, which will be known as WB Games Montreal. This new studio will gradually grow to include more than 300 people by the end of 2015. It is obvious that the new studio will take advantage of the great incentive program offered by the Québec government. Tremblay also said that Warner will open another studio in another city soon. Martin Tremblay told us that the new Montreal studio will focus on creating games based on the DC Comics license. On April 9, 2010, Warner Bros has announced it will publish a third installment to its F.E.A.R. series in fall of this year. Warner Bros. Home Entertainment Group announced on April 20, 2010 the acquisition of Turbine, Inc. the developer of the famous company MMOs Dungeons & Dragons Online and Lord of the Rings Online. On June 4, 2010, Warner Bros. Home Entertainment Group and Turbine, inc. have said that the massively multiplayer online title Lord of the Rings Online is to become a free-to-play game this autumn. Warner Bros. Interactive Entertainment announces on June 10, 2010, Mortal Kombat, the most brutal installment of the landmark fighting game to date for release on the PlayStation 3 computer entertainment system and Xbox 360 video game and entertainment system from Microsoft in 2011. Mortal Kombat is being developed by the newly re-named NetherRealm Studios, led by Mortal Kombat creator and creative director Ed Boon. Branching out from Game Party for the Wii, Warner Bros. Interactive Entertainment set its sights on the Xbox 360's newest piece of technology on June 14, 2010, revealed Game Party: In Motion for Kinect. Arriving November 4 as a launch title, In Motion for Microsoft's full-body motion-sensing technology brings sports and arcade games to the hardware. On August 1, 2011, Warner Bros. Interactive announced that they were going to publish Grasshopper Manufacture's Japanocentric game Lollipop Chainsaw. Which is going to be produced by Suda 51 of No More Heroes and Shadows of the Damned fame. It is also going to be penned by James Gunn. Whole or part of the information contained in this card come from the Wikipedia article "Warner Bros. Interactive Entertainment", licensed under CC-BY-SA full list of contributors here.